At Tête-à-Tête, it’s about 'Saving Private Conversation'. 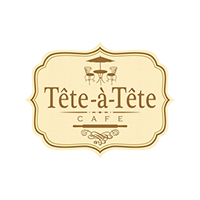 Tête-à-Tête Café promotes the involvement or happening between people in private by creating a conducive atmosphere and offering seemingly simple comfort food, yet elevated to match the occasion. Casual yet standout in its approach, through cheery pastries paired with artisan teas, modern European cuisine, and spirited service. Enveloped in its vast expanse of tall glass windows and spacious interior, Tête-à-Tête Café offers light-hearted alfresco experience in indoor comfort. 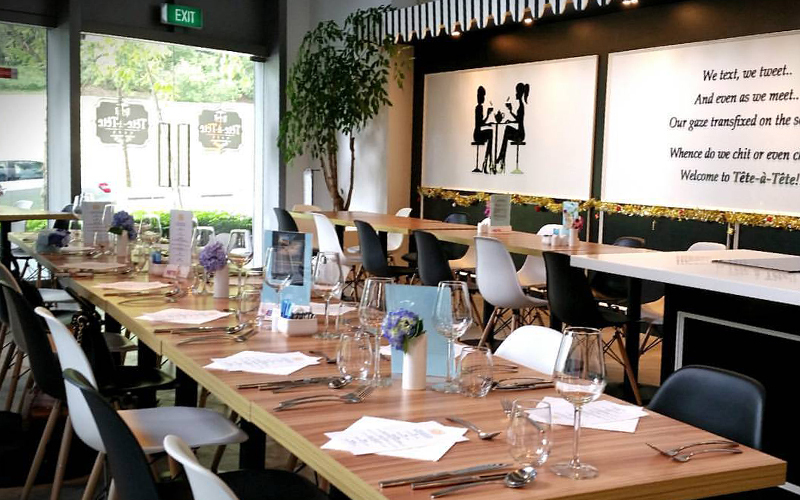 Put altogether, the Café has been popular for pick-me-up breakfast and coffee; light to 3-course executive lunches; paired pastry-with-tea desserts; afternoon tea-for-two sets; and as the lights grow dim; evening degustation or wine dinners.